“The Alzona Fontaine Team” with Paradise Real Estate International have offices in Jupiter, Palm Beach Gardens and Wellington Florida areas; This professional real estate team will advise and guide you through the Process to Buy your Dream Home, Investment Property or Sell your Property at the best price, anywhere from Jupiter, Juno Beach, Palm Beach Gardens, Tequesta, Hobe Sound to the Treasure Coast (St Lucie & Martin County), as well as Wellington, Delray Beach, Boca Raton, West Palm Beach, Palm Beach Island and North Broward County Florida. 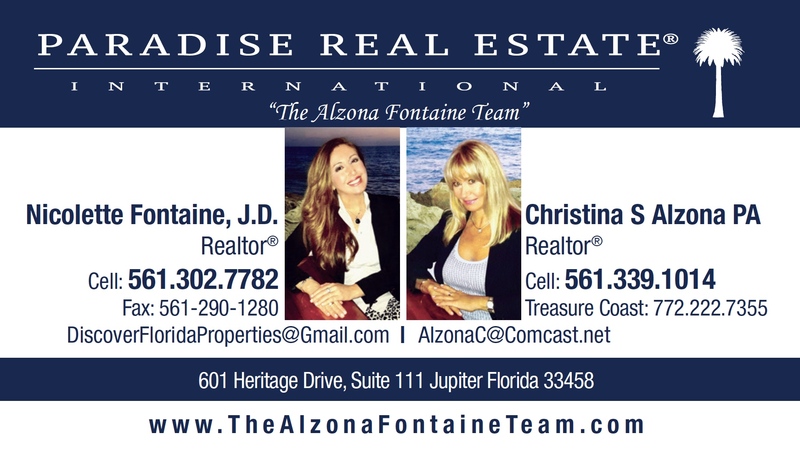 Christina Alzona PA and Nicolette Fontaine Specialize in Waterfront, Beachfront, Intracoastal, Golf Course, New Home Construction, Country Club , Equestrian, Farm and Energy Efficient communities. Christina and Nicolette speak Italian and Polish languages and work with international clients; our company Lists Locally and Markets Listings Globally! 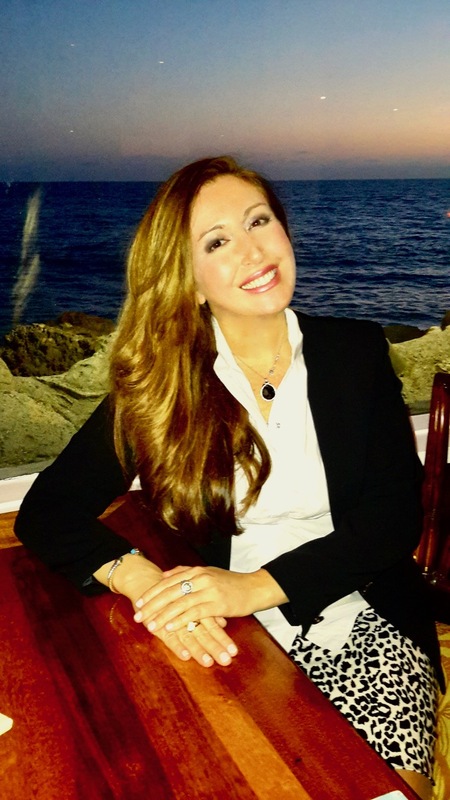 Christina Alzona PA is of Polish descent, and she comes with 21 years real estate experience having worked with buyers, sellers and investors in residential and commercial real estate. Christina resides in the Palm Beaches for 25 years, and prior, lived in Warsaw Poland, Italy and New York. She had her own fashion manufacturing business in the Garment Center on 7th Avenue in Manhattan, as well as her own retail stores. Her daughter, Nicolette Fontaine, J.D. is an experienced Tech Savvy Realtor who brings 14 Years Real Estate experience from the Florida and Tennessee markets to the table. Prior to Real Estate, Nicolette earned her Juris Doctor Law Degree and worked in Entertainment Law, Public Relations and Music Industry. Thanks to her diverse background in business affairs, law, media relations and marketing, as well as her exceptional negotiation skills and experience as a Realtor and a Property Investor herself, Nicolette has been able to propel her Real Estate business over the last 14 years. “The Alzona Fontaine Team” oferuje kompleksową obsługę klienta w obrocie nieruchomościami (kupno i sprzedaż) w rejonie Jupiter, Palm Beach Gardens and Wellington, na południowo-wschodnim wybrzeżu Florydy. Oprócz angielskiego, Christina i Nicolette mówią biegle po polsku i włosku. Christina pochodzi z Warszawy i ma ponad 21-letnie doświadczenie w pośrednictwie obrotu nieruchomościami. Jej córka, Nicolette ma ponad 14-letnie doświadczenie na rynku nieruchomości i jest doktorem prawa. Christina i Nicolette specjalizują się między innymi w nieruchomościach luksusowych nad wodą, przy plaży i na polach golfowych.